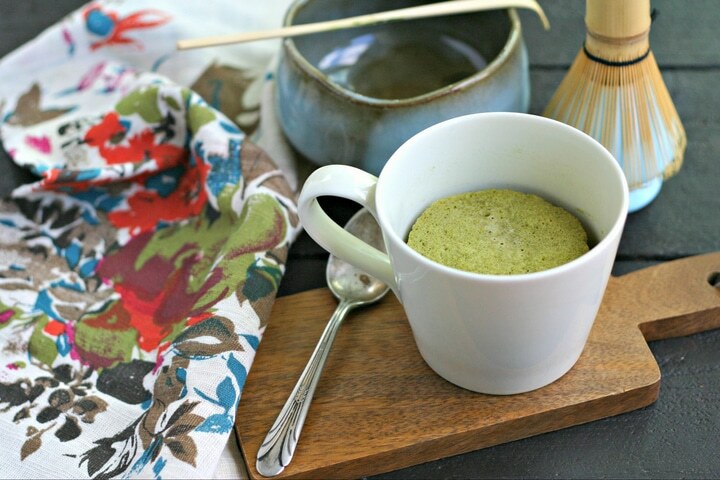 This Low Carb Matcha Mug Cake is not only sugar free but also nut free. A 3-Minute healthy breakfast or dessert that has the antioxidant benefits of Matcha! Recipe developed in partnership with Harney & Son’s Fine Teas. Years ago, before I had kids, I had a *killer* morning routine. Of course I did though – I had all the time in the world to just care for myself. Moms – you know what I am talking about right? I used to get up, drink a mug of hot lemon water, work out, shower and then drink one or two yerba mate, matcha or green tea lattes, in the most leisurely fashion, of course. High heels, fancy purses, good hair for days and happy hour after work with my man and our friends. Coffee was something I reserved for the weekends. Once I became a parent, that all changed. I became a hard-core coffee addict, drinking multiple cups of coffee per day. I am sure it also had something to do with moving to Seattle, the unofficial coffee capital of the country. Nevertheless, caffeine and I aren’t super compatible. My body has always preferred the steady caffeine boost from green tea, yerba mate or matcha. I’ve gone off and on coffee over the years but struggled to get back to my morning green tea habit. That is, until I started drinking really good quality matcha late last year. Now, even though I don’t start my days all about me anymore, I am here to say that I am finally back to starting my day with hot lemon water and then a matcha latte. I am back to having coffee on the weekends or when at a great coffee shop and it’s more like a treat. It feels good and my body is much happier. If you aren’t familiar with matcha, it’s a high-quality green tea powder made from the actual whole tea leaves and contains significant antioxidants that are known to have cancer-fighting properties. Since I’ve been on my daily matcha kick for months now, I’ve also been experimenting with using matcha in both savory and sweet dishes and even homemade gummi bears (coming soon!). When Harney & Sons reached out to me to collaborate, we immediately started talking matcha. One of the things that I love about their collection is that they offer three grades of matcha. Unjonotomo: “extra thick matcha” super premium, smooth, creamy, naturally sweeter. Senjunomukashi: “thick matcha” excellent quality and taste. ceremonial grade. Jobetsugi: “thin matcha” lighter in body but good flavor. good for culinary uses. Personally, I am obsessed with the Unjonotmo. It is so luxurious and creamy and how I’ve been starting my day. For cooking and baking, I keep a tin of the Jobetsugi on hand. It’s very affordable, still has a strong matcha flavor and doesn’t overwhelm the flavor of the dish. This Low Carb Matcha Mug Cake is based on my popular Vanilla Mug Cake but re-imagined. It’s nut free, uses monkfruit sweetener in place of traditional sweeteners and is high in protein. 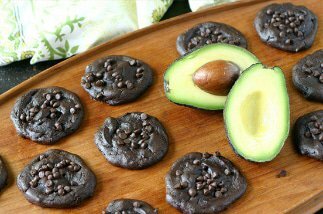 I highly recommend this as a breakfast option or topped with some white chocolate chips as dessert! I recommend a good quality matcha bowl and bamboo whisk. It really makes a difference when it comes to creating a matcha paste base that is smooth and grit-free. This recipe uses monkfruit sweetener. It is a natural sugar substitute that is low carb. You can substitute stevia if you are used to the flavor. Personally, I found it was too strong to pair with the matcha so I suggest starting with a very small amount and adding as needed. Any plain, unsweetened milk will work. Microwave ovens vary and can significantly impact the cooking time. For reference, ours is 1000 Watts and 2 min is perfect. Start slow and keep adding time to figure out the perfect formula for your microwave. Believe it or not, the type of mug you use can also impact the cooking time as material and thickness impact the transfer of heat. So once you find a perfect mug / cooking time formula, stick with it so you can ensure consistent results. This Low Carb Matcha Mug Cake is not only sugar free but also nut free. A 3-Minute healthy breakfast or dessert that has the antioxidant benefits of Matcha! Recipe developed in partnership with Harney & Son's Fine Teas. Begin by cracking an egg in a mixing bowl or measuring cup. Add vanilla extract to egg. In another bowl (see NOTES above for details about matcha bowl and bamboo whisk ), whisk matcha powder with plain, unsweetened almond milk until completely smooth. Pour matcha mixture into bowl with egg. Whisk until well combined. Add monkfruit, melted butter, coconut flour, baking powder and sea salt. Mix until smooth and transfer to a microwave safe mug (see NOTES above for tips!). Microwave for 1 min 45 seconds to 2 minutes (depending on your microwave). Allow to rest for 30 seconds. Serve and Enjoy! DISCLOSURE: This post is sponsored by Harney & Son’s Fine Teas. Harney & Son’s Fine Teas has compensated me for my time to develop this recipe. Thank you for supporting the brands that make EverydayMaven possible. All opinions are my own. I’ve been reading great things about Matcha, but I’m not 100% on board yet with the taste. I think it’s how I’m making it AND the brands ive bought. I hate spending money on something new that I might not like. ** Does the mug cake have the same benefits as drink a cup of matcha tea? That’s a great question Vicki. I have to be honest and tell you that I am not 100% sure it does. When I make matcha to drink, I keep the water temperature below 170F. When cooking with Culinary Matcha (either oven, stovetop or microwave), I am imagining that the temperature would get higher and could potentially damage or destroy some of the beneficial properties. I am not a doctor or nutritionist so I can’t say for sure but that is my best guess. I love matcha! This is the perfect way to use it. Mmm! I need to try this asap! I am addicted to this right now Gina! I love mug cakes, I can’t wait to try this! Hope you love it Lisa! I am totally writing this on my list of things to try! So creative. Love how easy it seems to come together too. We like Harney & Sons a lot for black tea (we drink their Earl Grey frequently), but didn’t realize they sold matcha, too. Probably because I haven’t looked — we always order the same thing from them! 🙂 Anyway, mug cakes are so cute, and love the idea of using matcha in one. Thanks! My Mom loves Earl Grey – I’ll have to order her some to try! Yes, you have to try this – it’s soooo good! Can’t wait to try this! I love love love matcha green tea everything! But I’ve never heard of monk fruit. How does it compare to agave? Hi Ruby! Monkfruit is totally different than agave as agave is a liquid and adds moisture. Agave is also super refined and has a lot of fructose. Monkfruit is similar to stevia but without the chemical taste – super generic description but hope that helps! That is different recipe. I do want to try this.I love eating healthy food.